for Caravan Operators Including Optional Electric De-Ice and Start Locks. 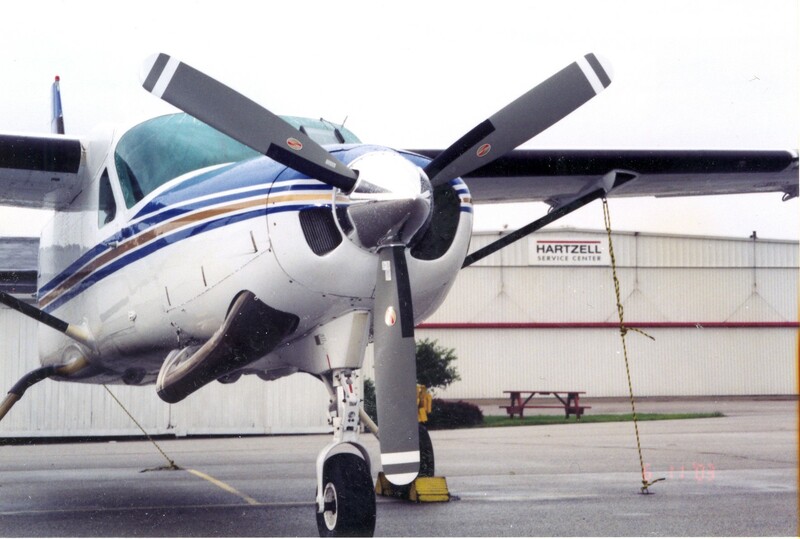 PIQUA, Ohio – February 18, 2004 – Hartzell Propeller Inc. announced today that its increasingly popular high performance three-bladed Top Prop™ propeller kits for the 208, 208A Caravan and 208B Grand Caravan are available with optional start locks. This option was developed in response to requests received from several seaplane operators. Start locks prevent the blades from entering feathered condition after shut down. On start up, this feature allows for the elimination of thrust and any unwanted aircraft movement … which is particularly desirable and helpful for aircraft operating on floats. This is the only propeller available for the Caravan with factory installed start locks. Low acquisition cost – With a basic list price of $19,000, $20,000 including start locks, $20,400 including de-ice, and $21,400 including start locks and de-ice. Each of these Hartzell kits represent the lowest cost Caravan propellers available today. Wide-chord blades – the propeller system features wide-chord blades that were specifically tested to allow the greatest reparability of any Caravan prop on the market. As a result… operators can expect an extended service life, particularly for those operating in and out of unimproved runways or on floats. Simplified installation – The Top Prop kit was designed so there are no de-ice timer, ammeter, wiring or circuit breaker changes required for installation. Steel hub system – this hub design allows blades to be easily removed for reduced shipping costs. The Top Prop kit for the Caravan includes the three-bladed propeller, a polished spinner, STC documentation, extended 3-year/1000 hour warranty as well as optional start locks and de-ice capabilities. For more information about Hartzell’s Cessna Caravan propeller conversion kits or any other Top Prop performance conversion, visit the Top Prop section of the Hartzell Web site at www.hartzellprop.com, or call toll free (800) 942-7767 or (937) 778-5726. Fax your request to Hartzell at (937) 778-4215 or email topprop@hartzellprop.com.